AUDI AG - the German carmaker as part of the Volkswagen Group, specializing in the production of cars under the Audi brand. Headquartered in Ingolstadt (Germany). Chairman of the Board of Directors - Matthias Müller. The volume of production was around 1,830,334 cars in 2015. In 2012, German experts on cars made ranking of the best used cars. 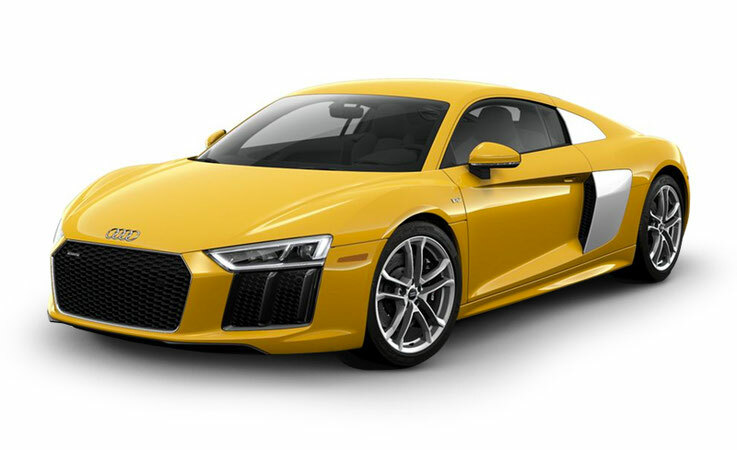 Auto Audi brand recognized among the best used cars. Audi in its present form is a successor of the Group Auto Union, formed through the merger of four companies producing cars and motorcycles under the brand names DKW, Horch, Audi and Wanderer. only brand Audi was left Because of changes. The first Wanderer car brand appeared in 1913, the first own company (Horch & Co.) August Horch organized in 1899, and after the creditors to remove him from cases in 1909, the company Audi Automobil-Werke was established that is translated as "Automobile factory Audi." And in 1910 the first car was released. Translated from the German Jorge (Horch) means "to listen". 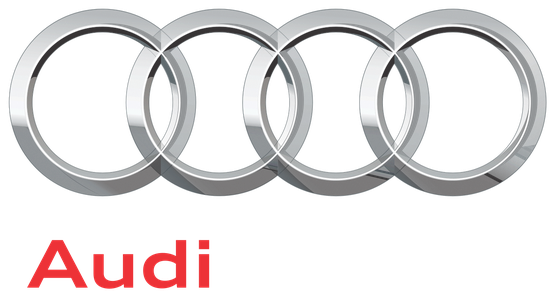 When choosing a name for the new brand, the son of one of the business partners in August suggested that the same word, but only in the Latin version, that is, «Audi». In 1921 the company made a breakthrough. This year was released the first German car with left-hand drive. Prior to that, the company was engaged only the engine and suspension, but now she began to pay attention to the ease of operation. In 1928 the brand was bought motoproizvoditelem DKW, and in 1931 saw the debut of the first car in the world with front-wheel drive, DKW F1. To contribute to this global economic crisis that began in 1929. The fact that the cars with large engine capacity no longer in demand due to the general lack of money. And then Head of Audi instructed to develop a compact car with front wheel drive. The push to integrate the four automakers gave Saxon Municipal Bank, the lender of all these companies. He feared for their investments in the automotive industry. June 29, 1932 Audi plants, Horch and DKW merged to Auto Union AG. Its symbol became familiar to all four rings. After this merger company became the second car manufacturer in Germany. Stamps Audi, DKW, Horch and Wanderer did not compete with each other. 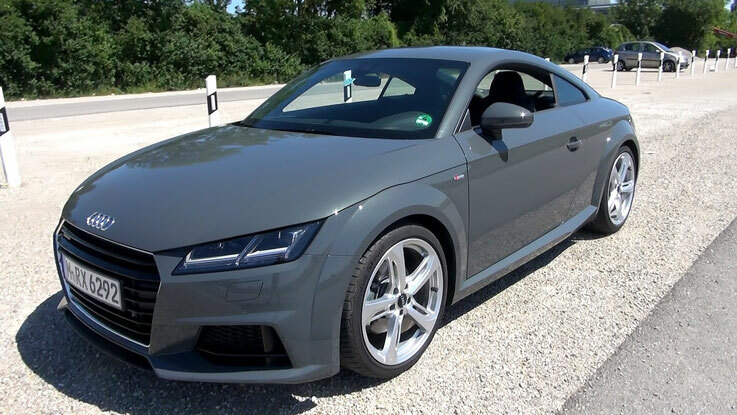 The fact is that each grade has been allocated a separate market segment: Audi engaged in sports cars, DKW - motorcycles, Horch - large and richly decorated with cars and Wanderer - luxury segment average. The firm has participated in car racing. For several years the model Auto Union «Silver Arrow" won in a variety of races and championships around the world. This was the establishment of a large number of world records. In 1940, the release of all civilian vehicles was the concern is minimized, association factories switched to the production staff car Horch 901. At the end of the Second World War all the Saxon Auto Union plants were destroyed as a result of Allied air strikes and a lot of staff and management of the group left the Soviet zone of occupation. All the equipment that survived, was dismantled and removed. The company's management more shortly before the war, managed to move to Bavaria. At the end of 1945 in Ingolstadt even appeared warehouse Auto Union spare parts. But there was still a long way to full production. Only 3 September 1949 resumed production of motorcycles and delivery trucks. The company's new registered and got company Auto Union GmbH. In 1950 there was the first post-war passenger car group, DKW F89 P Master Class. In 1969 the joint stock company Volkswagenwerk AG merged Auto Union GmbH and NSU Motorenwerke AG company from Neckarsulm. The company was named Audi NSU Auto Union AG, with headquarters in Neckarsulm. In 1974 there was a significant event. The head of the design department became Pёh Ferdinand (Ferdinand Piëch). Now, years later, this period is called the "Age of Pёha". It was during his leadership of the company has reached remarkable heights. During these years, there are five-cylinder engine (1976), turbonagnetaniya technology (1979) and all-wheel drive quattro from (1980). With respect to all-wheel drive - it was the world's first passenger car with permanent four-wheel drive on all wheels. In the period from 1982 to 1987 on this model were won 23 WRC victories in the stages of the championship. C 1985, the company continually increases technological developments. This includes: a fully galvanized body, the perfect aerodynamic design, extensive use of gasoline engines with turbocharging, fuel-efficient diesel engines with direct injection technology, Aluminium Alloy body, the hybrid drive petrol engines with direct injection technology, heavy duty eight- and twelve-cylinder engines. In 1993 it was formed Audi Group, a part of which eventually entered the Hungarian and Brazilian units were absorbed into the British Cosworth Technology and Automobile Lamborghini Italian and Spanish SEAT. The company is developing dynamically in most existing today avtonapravleny. 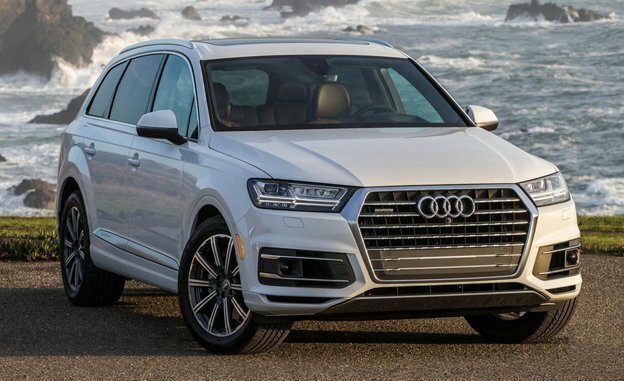 This business segment (A6), Executive (A8), sports and racing cars (Audi TT, racing version of A4, the R8 supercar), as well as crossovers Q7, Q5 and Q3. In 2009, Audi became the title sponsor of the FIS European Cup in Alpine skiing, underway in Moscow. In 2011, Audi was the sponsor of the football club Zenit (St. Petersburg), and until 2008 were the sponsor of FC Bayern (Munich). Everyone knows that the main rivals Audi in the automobile market are the company's Mercedes-Benz and BMW, so-called "German Troika". Many people think that the war began with advertising poster BMW in 2006, where the company BMW "cute" Audi congratulated on his victory in the competition "Car of the Year" -2006 in South Africa. But no, it all started back in the 80s, when Audi has released a promotional video, where Audi 200 winds around eight Mercedes-Benz E-Klasse (W124) and the BMW 5-Series (E28). Just a year later, BMW has released a response video, showing the new model of the BMW 5-Series (E34). Commercials BMW present three cars, all cars are covered with three blades. The first car was the BMW 5-series, and the other two cars dramatically melted and linens, they were covered with fallen to the ground, it was a hint, Audi and Mercedes-Benz. Mercedes-Benz has decided to ignore the advertising company Audi and BMW, not responding to them to this day nothing. Advertising war Audi and BMW is still going on. Not so long ago in an advertising war came Lexus. 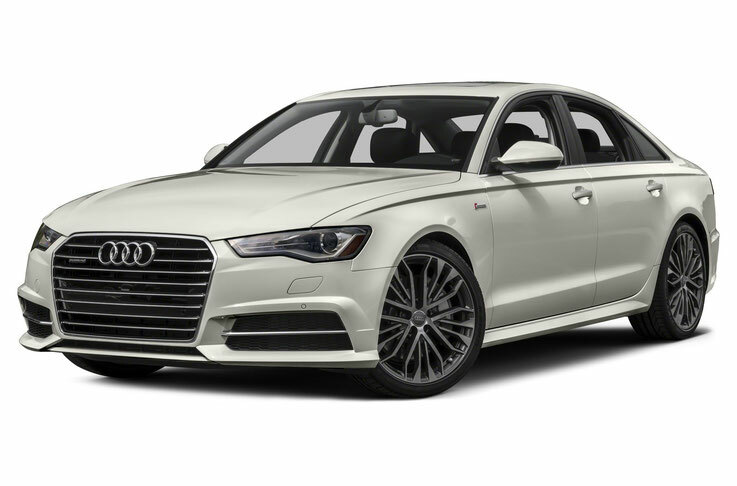 In the summer of 2016, Audi has created a cost-effective version of the A4 ULTRA with front-wheel drive, which will go on sale in 2017. The car has a better performance than the nearest competitors BMW 320i, Mercedes-Benz C300 and Lexus IS 200t. The two-liter turbocharged engine to 190 hp at a rate of 8.7 liters in city mode, and 6.4 on the highway.